We know it can be intimidating, so our team of experienced venture capitalists put together a comprehensive guide to investing in early-stage companies. It includes our best tips to get you started! Feel confident about investing in startups. "We know it can be intimidating to invest in startups since it's such a unique asset class. We put our 20+ years of investment expertise to work – and we hope that this guide will help new investors get comfortable with the idea of investing in early-stage companies." 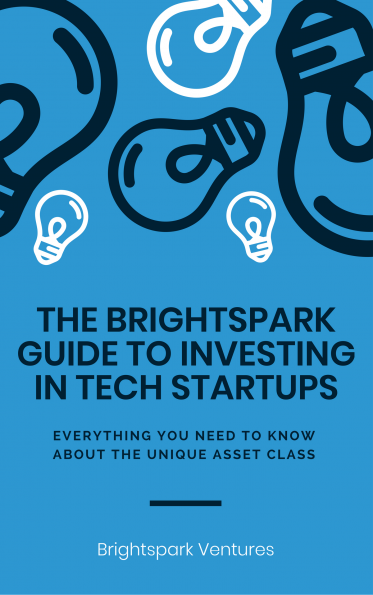 Brightspark is one of Canada’s top performing Venture Capital firms, investing in exceptional entrepreneurs and returning unprecedented returns to investors since 1999. We are leading an evolution in venture capital, enabling individuals to invest in top-tier early-stage Canadian tech companies with complete venture capital discipline. © 2017 Brightspark Inc. All Rights Reserved.